5/21 Run of Valor, Murphysboro, IL, More dates and locations to come! Registration sites to come for each event! You can Sponsor a Warrior to participate in different events? 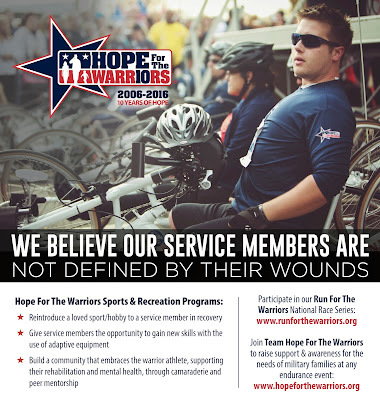 Hope For The Warriors has sponsorship opportunities for the community to support Warriors in all Team Hope For The Warriors events. Sponsorship can range between $200, for a local Run For The Warriors race, or up to $5000+, to support adaptive equipment, travel, and lodging at larger events. 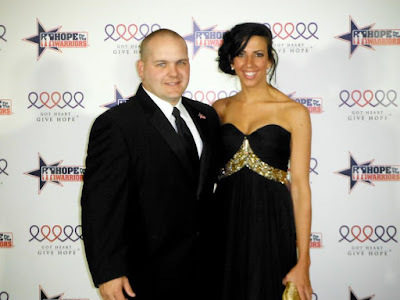 Please email Steve Barto, sbarto@hopeforthewarriors.org to learn how you can sponsor a warrior. Hope For The Warriors works with organizations that participate in corporate matching. Be sure to ask your employers or check with your HR department to find out if your company offers corporate matching. US Air Force Veteran, Michael Roesch, will not slow down. Through injuries and setbacks he continues to participate in endurance events in support of veterans on Team Hope For The Warriors. Michael served in the Air Force from 1999 to 2003. His transition after service was challenging; he described himself as “rough around the edges” and was not prepared for the adjustment back to civilian life. Michael grew up a military brat, and once he left the Air Force he lost the warrior culture that had surrounded him his entire life. However, through fitness and physical challenges, Michael found a place to call home through Hope For The Warriors. Beyond his resiliency, Michael has a secret weapon that keeps him going—his girlfriend, Daria Smith. In his own words, “She does not allow me to be a lesser version of myself.” Daria participates in every endurance event with Michael and offers immense support. Both are pillars in the Team Hope For The Warriors community and inspire us all to become the best versions of ourselves. Read more about Michael and Daria here! For the 5th year in a row, Hope For The Warriors® has received a four-star rating on Charity Navigator. This exceptional rating, achieved by only 5% of the nonprofits they evaluate, highlights Hope For The Warriors® financial responsibility to the service members, military families, and families of the fallen we support. Team members can continue to ask people to donate towards fundraising goals with confidence! We invite you to view their latest evaluation of our efforts on the Charity Navigator website. For more information please contact Steve Barto at sbarto@hopeforthewarriors.org. The Rock ‘n’ Roll race series has teamed up with everydayhero as their official fundraising platform. You can now run in any Rock ‘n’ Roll event and raise funds for Hope For The Warriors! Every race participant will be asked if they want to fundraise on behalf of their favorite cause during the race registration process. When you register and are asked to choose your charity, pick Hope For The Warriors® and you will automatically be given a Rock ‘n’ Roll everydayhero fundraising page! 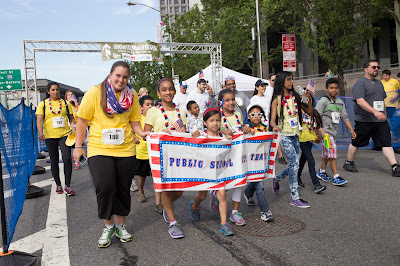 Stay tuned for the 2016 Run For The Warriors® Race Series Registration sites, www.runforthewarriors.org. Be sure to send us an email with your race schedule and where you will be wearing your Team jersey. Each time you wear your jersey, you help our mission to restore self, family, and hope. Feel free to share photos and special stories too! In 2012, while doing a Tough Mudder, Michael saw a participant wearing a Hope For The Warriors shirt, which led him to reach out to the organization. He then began participating in events with Team Hope For The Warriors; his first event was the 100-Mile Relay with the Marines. 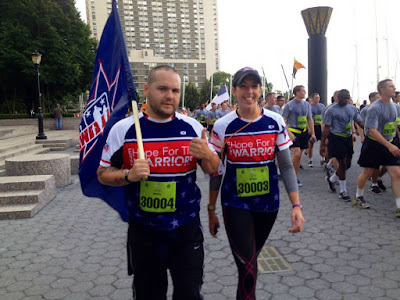 After a positive experience Michael went on to participate in any endurance event he could register for, including the Long Island Run For The Warriors and the New York City Marathon. Michael found a community through Hope For The Warriors, where he was recognized and appreciated for his service. Hope For The Warriors also gave him the ability to give back and continue to serve the military community by connecting him with other veterans who were struggling with their transitions. 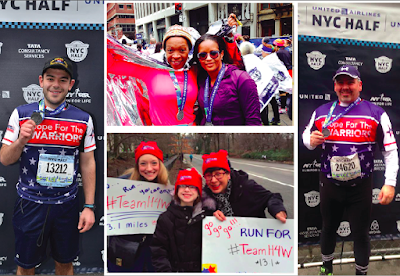 In 2013, with the NYC Marathon approaching, Michael seriously injured his knee. Being the consummate warrior, he continued his training and participated in the marathon. Around Mile 9 his knee completely gave out; however, he walked to the finish line. Six months later Michael had his first knee surgery, and went right back to supporting veterans through endurance events. On March 23, 2016, he needed another surgery on his knee as it became painful for him to walk. As Michael shared the challenges he was facing with his knees to his Battle Buddies and fellow Team Hope For The Warriors members, Len Lacina and Steve Suwilic, his friends asked him how he planned on continuing to live an active life and do what he loves with non-functioning knees. 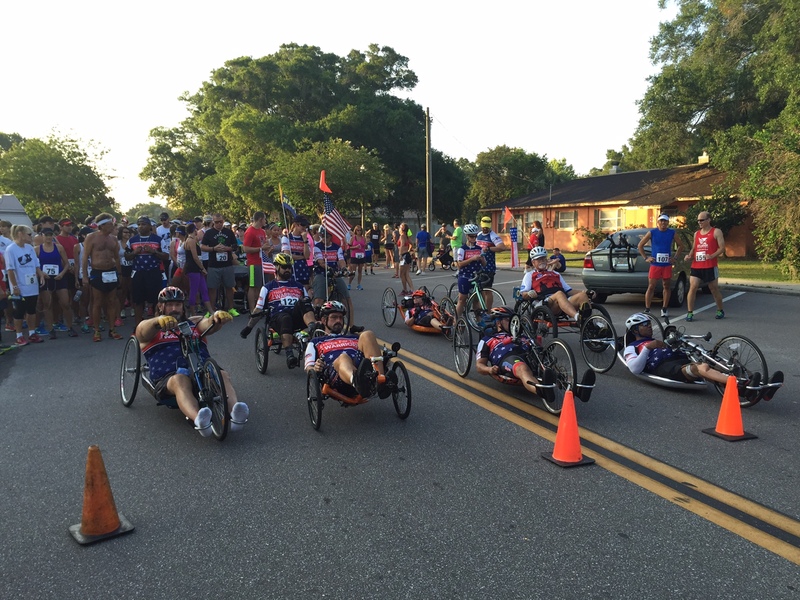 This conversation helped convince Michael to request a handcycle, so he reached out to Hope For The Warriors. 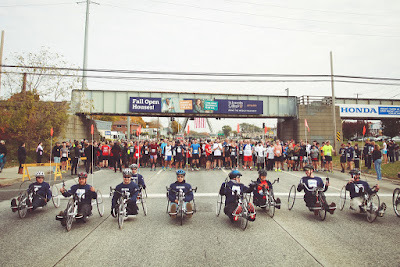 On November 7, 2015, Michael was given a handcycle at the 8th Annual Long Island Run For The Warriors. Michael has put his handcycle to good use, and this winter he logged about 300-400 miles on his new ride. 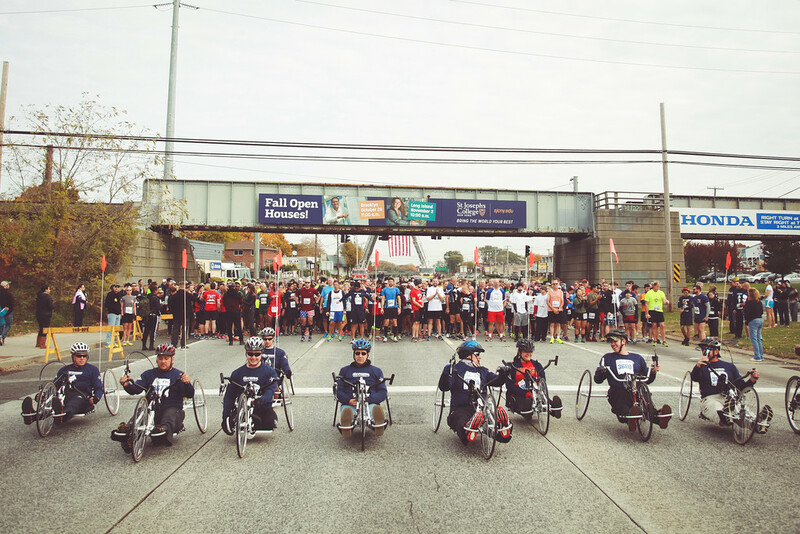 Recently, he has also participated in the Lincoln Tunnel Challenge and three marathons with Team Eva (Every Veteran Appreciated). 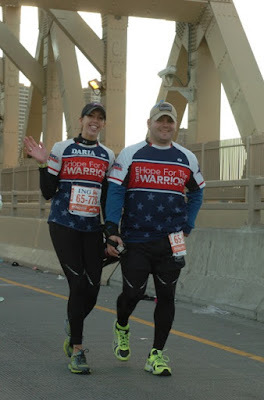 This year Michael plans on participating in seven of the ten Run For The Warriors Races and the Marine Corps Marathon with Team Hope For The Warriors. In August, he is planning a bike ride with other veterans that will start in Montauk, Long Island and end in Battery Park, Manhattan, covering well over 100 miles. Michael and Daria at the the Got Heart, Give Hope Gala, where he was honored. We will continue to follow Michael and Daria as they train for many events this year! 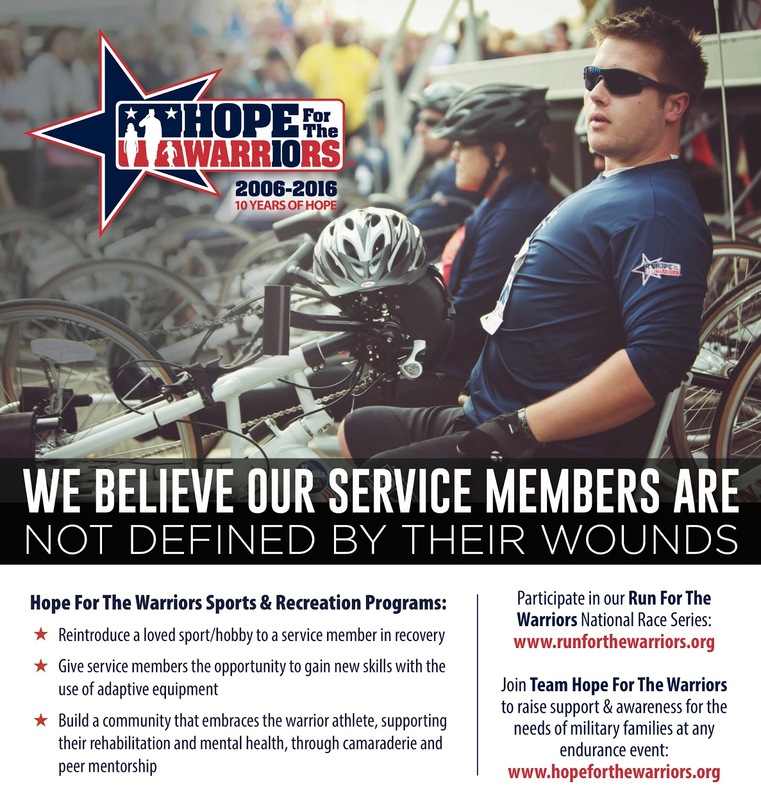 To learn more about Team Hope For The Warriors and find out how you can get involved, visit: www.hopeforthewarriors.org. For the complete 2016 Run For The Warriors schedule, visit: www.runforthewarriors.org. Fall 2016 Spouse/Caregiver Scholarships Now Open! The Hope For The Warriors Spouse/Caregiver Scholarship is now open for Fall 2016! Completed applications are due by Tuesday May 31, 2016. Scholarship winners will be notified in writing by July 1, 2016 and announced on the scholarship website. Please review the website for the full list of scholarship rules. The Spouse/Caregiver Scholarship Program identifies, recognizes, and rewards post-9/11 spouses/caregivers for their strength, fidelity, and resolve despite adversity. Scholarships aid in continued education at a reputable, accredited university, college, or trade school for spouses/caregivers as they assume critical roles in the financial well being of their families. For more information or to inquire about sponsorship opportunities, e-mail scholarships@hopeforthewarriors.org. To learn more about how the Spouse/Caregiver Scholarship impacts military families, read our many blog stories written by scholarship recipients, like this one. If you were not chosen for the Marine Corps Marathon lottery you can still claim your bib through Team Hope For The Warriors! Also, we still have bibs available for the TCS New York City Marathon. Sgt. 1st Class Victor Medina joined the US Army in 1994 and served until 2012. He deployed three times—once to Afghanistan and twice to Iraq. His biggest challenges today are cognitive. Victor lives with Traumatic Brain Injury (TBI), which he obtained when his vehicle was impacted by an IED while on patrol in Iraq. He endures day-to-day challenges that most people wouldn’t think twice about in their daily lives. Learn how Victor overcomes daily challenges and his advice for others who suffer from TBI. Congratulations to the Team Hope For The Warriors Members who participated in the United Airlines Half Marathon! We had participants from all over the country and even a few who traveled internationally to run with the team and support our nation’s heroes with an incredible fundraising effort! 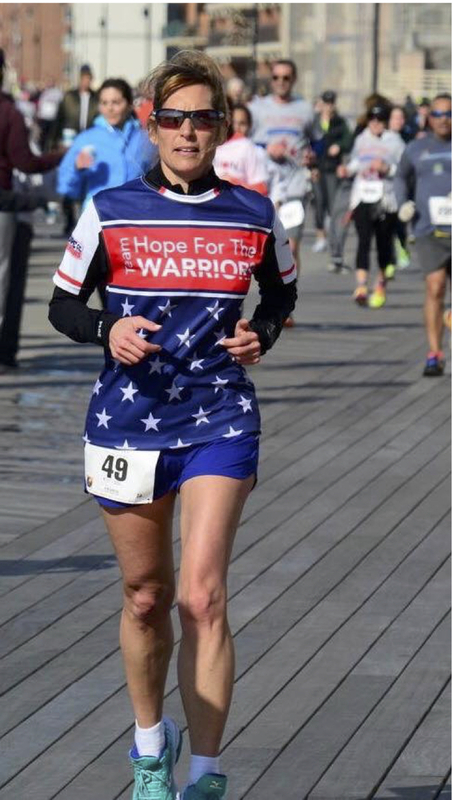 From April 2-8, 2016, Eva Casale, will be running 7 marathons in 7 days to raise funds and awareness for Hope For The Warriors! She will complete 184 miles, running in honor of a different service member for each mile. Eva is starting and finishing each marathon at different Suffolk Federal Credit Union locations. Donate: Support the military community and Eva’s incredible efforts! Register to Run with Eva: You do not have to participate in all 7 of her 26.2-mile runs, but you can pick a day to join her for the last 7 miles of her run. All runs take place in Suffolk County, Long Island. Hope For The Warriors is inspired by Eva’s dedication to support military families and we would love to see the community encourage and support her as she takes on this impressive challenge! Be sure to shoot us an email with your race schedule and where you will be wearing your Team jersey. Each time you wear your jersey, you help our mission to restore self, family, and hope. Feel free to share photos and special stories too!